The first time I saw you was when you explained your work to a group of youth volunteers from Vientiane. 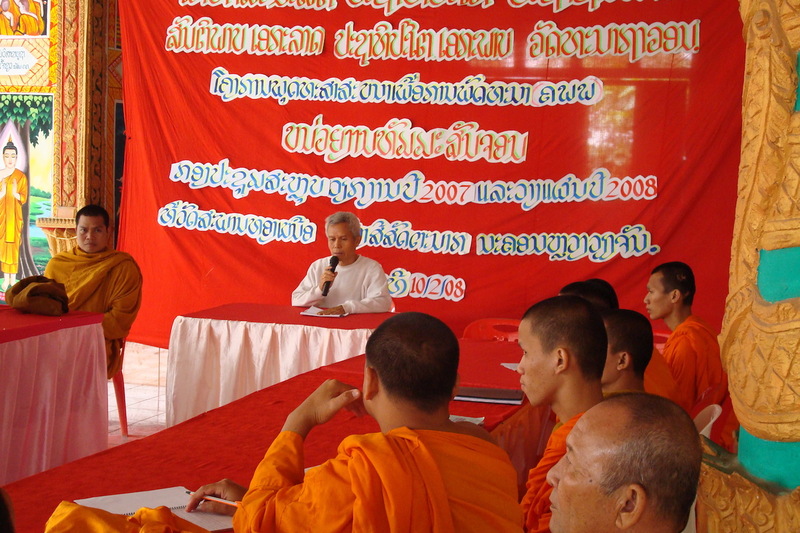 At that time, Pui Duangkhae was the team leader mobilising volunteers who were interested in learning about the environment in Phu Khao Khwai. We met at the bamboo garden, and you and Uncle Outhin briefed us before we went to the park. Your words at that time greatly impressed me. You said we needed the forest, but the forest did not need us. Those words made me think that we must preserve and care for the forest, and it was the beginning of my journey as an environmental volunteer. 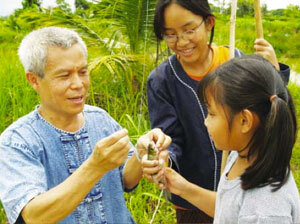 We started by removing garbage from the steams in the Phu Khao Khwai Protected area in 1996. I write this letter to ask how you are. Do you remember me? Where did you go and who took you? There are no answers to these questions, but I still believe you are with us, because the things that you taught and the results of your work will remain with me always. Also, whenever I think of you, I remember your efforts to explain your approach to sustainable development. The model was of a house with four pillars. The first time I heard this was when I was a Green Ant Volunteer with PADETC. There was a drawing of the house with the roof being happiness and the four pillars showing the balance of development among the economy, culture, environment and the heart. Each pillar has much value, but it order to maintain balance there must be a solid foundation which can withstand various crises. You showed that such stability comes from quality education, transparent governance, and clear vision. A house that is made up of a strong and stable foundation, with balanced pillars, a roof providing shade, and good will among those in the house will surely lead to good health and peace of mind for everyone. Uncle, this is the first letter I have written since you disappeared almost three years ago, but it surely will not be the last. If I get a chance, I will write to you regularly, because I remain hopeful that one day Uncle will be able to read this letter. Next PostNext ASEAN’s shame: Where is Sombath Somphone?